I know, it has nothing to do with botanical art, but it’s been so hot and humid, that I felt duty-bound to let you know that today, Saturday, August 6 is National Root Beer Float Day. A Root Beer Float might be a refreshing incentive to keep working on your art. I usually have tissue down to protect the areas of my artwork, and I wear light cotton gloves with the fingers cut off. It’s been so sticky and humid, however, that I’m now also laying a folded cotton tea towel under my arm and hand. Add your tips to working in hot, humid, sticky weather in the comments section please. And enjoy a Root Beer Float and your art! The Root Beer Float was my favorite growing up, a special, occasional treat at the drive-up where they came out to the car on roller skates and put your order on a tray that attached to the window. There was also a “Brown Cow” (chocolate instead of vanilla in root beer); a “Purple Cow” (grape soda + vanilla); and an “Orange Cow” (orange soda + vanilla). 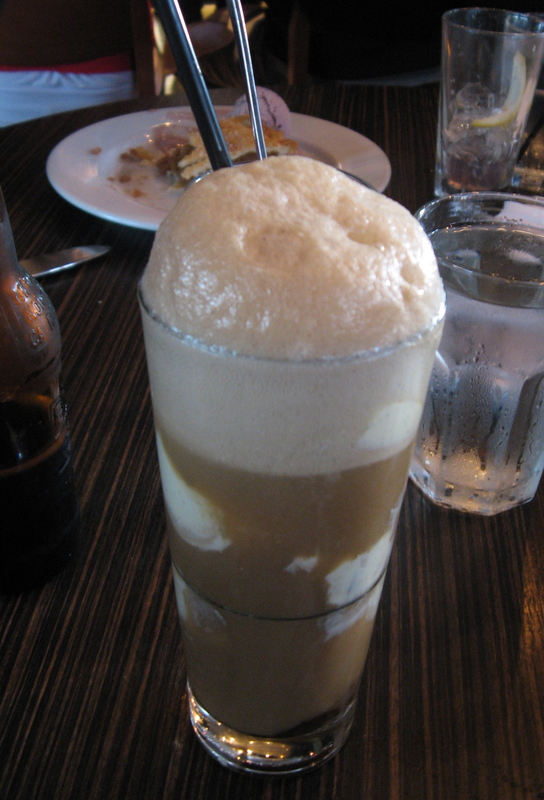 As an adult, I’ve also had a “Beer Float” (Kona Coconut Ale or Guinness Stout or a Chocolate Ale + vanilla ice cream. I might have to head out and get the ingredients for the traditional Root Beer Float! Now you are pushing my buttons, Deb. What better than a RB float on your left and a colored pencil or paintbrush in your right? Sounds perfect to me! What do you mean? “Nothing to do with botanical art” …. it is super inspirational !